Edward Montgomery of Montgomery Video and Mortgage gives listeners a tour of his film restoration factory. Sarah Koenig checks in about her alcohol abuse and perhaps the inciting incident of her addiction. 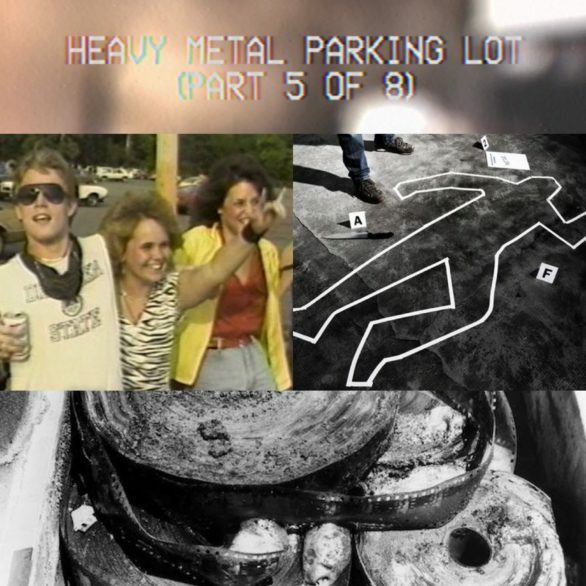 Mike and Steph return to talk about 2 more minutes of HEAVY METAL PARKING LOT. Their topics of discussion include Yo Mama jokes, librarian jokes, time travel, ASL, COPS Boston, and Happy Days. After today only three episodes remain! HOW. WILL. IT. END. ?? ?